You have probably seen the incessant ads on YouTube about Blaze.co.ke, which were shrouded in mystery. The mystery is over with Safaricom announcing the launch of Blaze.co.ke, a platform targeting the Youth in Kenya. In the announcement of HY 2016 financial results, Safaricom announced it had a youthfulness score of 80% and was looking at the demographic as a pivot for future growth. Blaze targets youth aged 26 years and below with products, services and benefits tailored specifically to meet their needs. The product offers among other features Create Your Plan, a service that allows users to control how much they spend on voice, data and SMS each time they purchase airtime. Assume you have airtime worth 100/= , you will get to choose how much goes to data, voice or even SMS. To do so, one will have to register on the Blaze website and select how much goes to each service by swiping left or right on the slider. One can also complete this using prompts upon dialing *555#. Through Blaze users, will also manage to access branded devices from the Safaricom shops at discounted prices. The devices will come complete with merchandise such as selfie sticks and phone covers. Blaze also has the Be Your Own Boss (BYOB) feature that allows one to countrywide youth empowerment summits and boot camps. These will target youth with mentorship in arts (music, fashion, photography, graffiti, film), technology, entrepreneurship and agriculture. Lucky Blaze subscribers will win a funding for their business under the BYOB program. BLAZE subscribers will also access innovative M-PESA-based services aimed at teaching them finance, as well as BLAZE Bonga, a specific Bonga Point product for the youth. 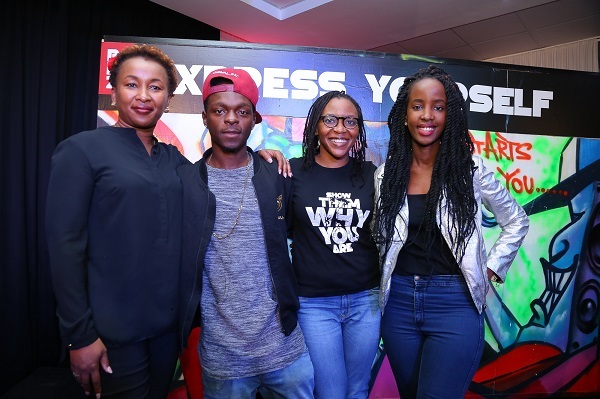 Safaricom says it spent 25% of its marketing budget to conceptualise, develop and launch Blaze with a target of 25% of future growth from youth.